WINNER – Best Public Building 2014. 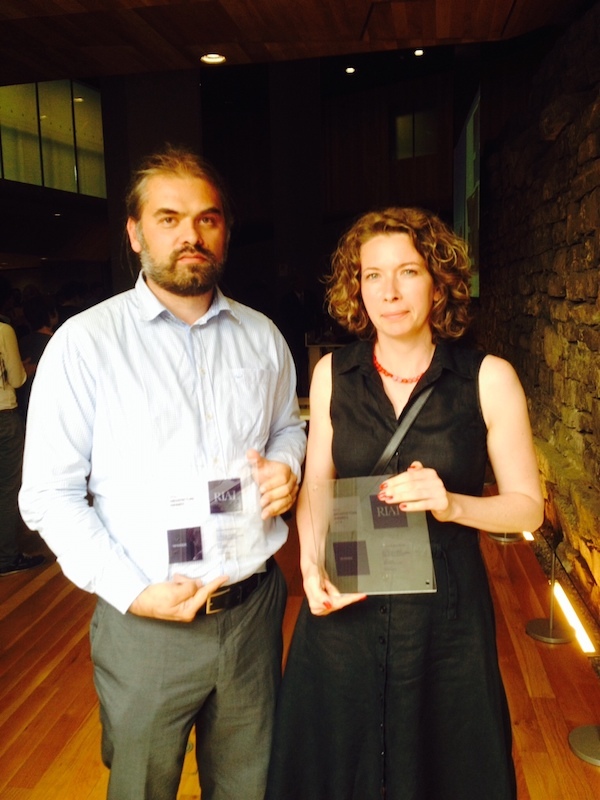 Agnieszka and Bartosz pictured at the RIAI award ceremony in Dublin with their award for the Best Public Building in 2014. Founded in 1839, the Royal Institute of the Architects of Ireland (RIAI) supports and regulates the architectural profession and promotes the value that architecture brings to society.